Man, It seems like I’ve been gone forever…believe me I have thought about posting a blog at least once a day, but I have been so busy! Besides working, homeschooling, doing things around the house, I have been busy using my Cameo! I absolutely love it. My goal is to do a card a day. I’m trying to get better and figure out exactly what I’m doing. 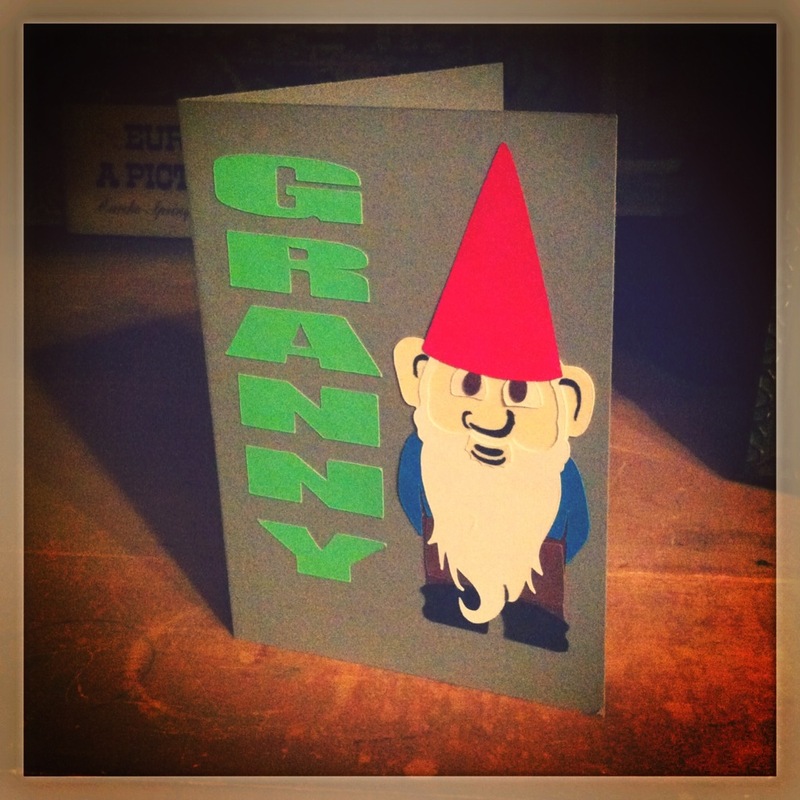 Testing out what glue I like best, card stock, what settings I like to cut with. There is so much thought involved! 🙂 I really enjoy it and I’m pretty sure we have been to Hobby Lobby twice in the last week. Which seems like no biggie unless you live an hour away from the closest one! Don’t tell my husband, but I already want/need to go back. 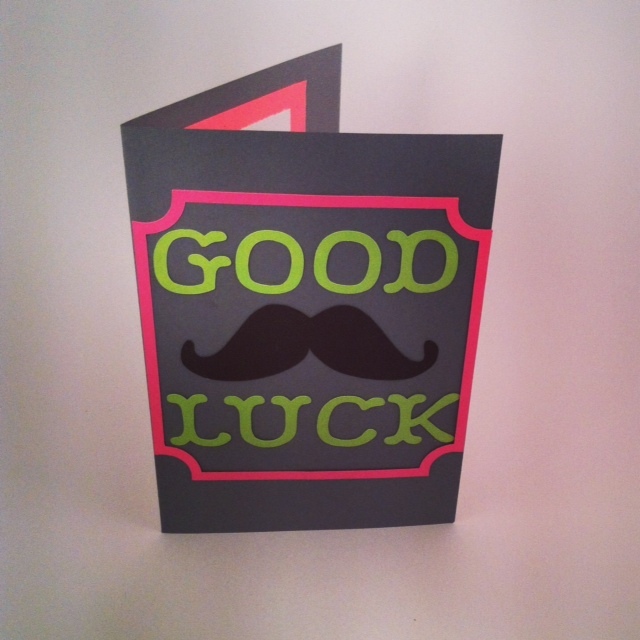 I have figured out that buying the cheapest card stock is not the way to go. I learned my lesson there and need to upgrade. Do you have a certain brand or weight of paper you use? Any tips are welcome. I’m going to show you a few of my latest projects. All my designs have been purchased off the Silhouette Online Store with my free gift cards I received when I bought my machine. Here’s what I’ve been up to lately! This is my very first card project with the Cameo. I really loved how they both turned out. I love cutting the image out and putting it all together. It’s like a puzzle! 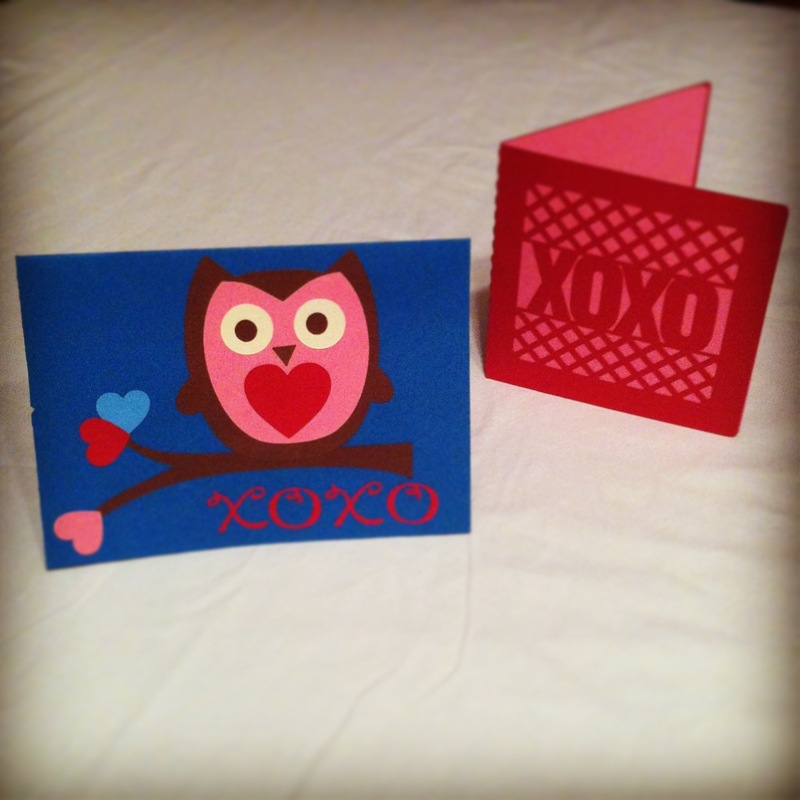 I never knew how much I would love card making. I have wanted to do it for so long, but never put in the time to sit down and actually do it. The Cameo makes it so much easier and my kids love watching it cut out the images. 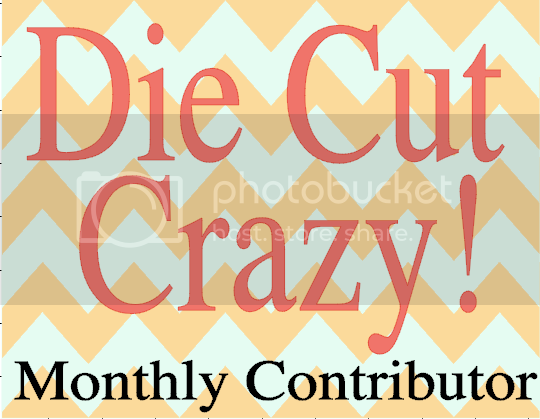 Atticus was watching me last night and said “Mom…You really love die cutting!” It was so sweet. I just love that little boy! 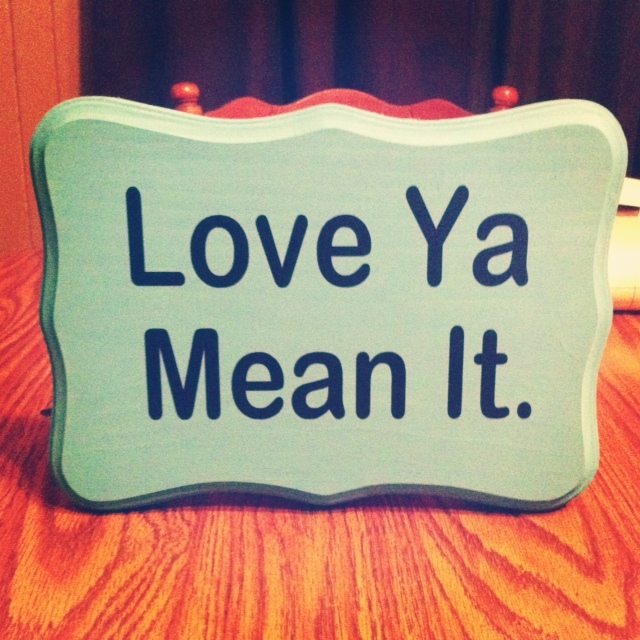 Besides the cards I have made a few wood signs. I love vinyl and if my husband would let me, I’d vinyl everything in this house!! 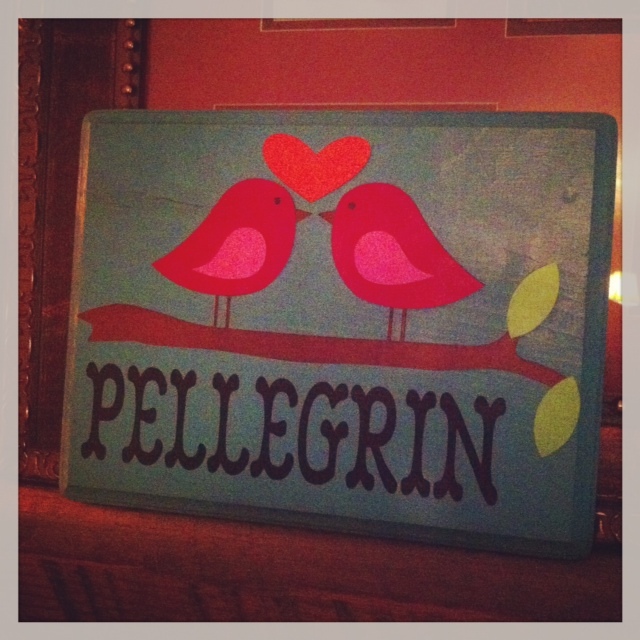 I love making the wood signs and they make such great gifts for people. Jeremy’s Aunt and Uncle are coming to visit us next weekend and they just moved into a new house, so I wanted to make them something as a little house-warming gift. I think they will love the bird design with their last name. I know I would! This was my favorite project of the week. I hope you guys enjoy my pictures. As I type this blog all I can think about is making more stuff! 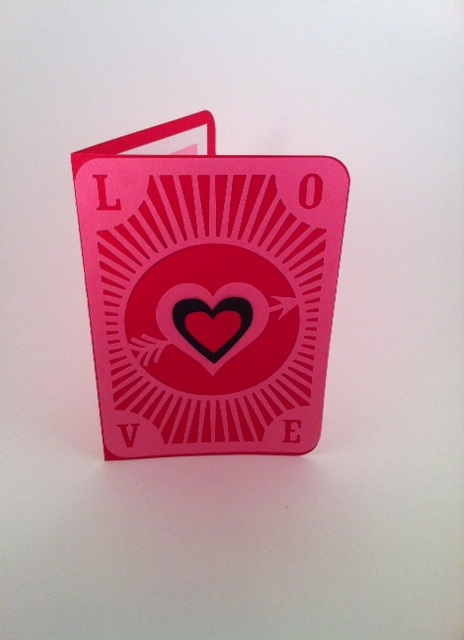 Please comment below if you guys have card stock tips. I would love the comments and help! I will try my hardest to break away and blog more. See you all soon!! Hello everyone! 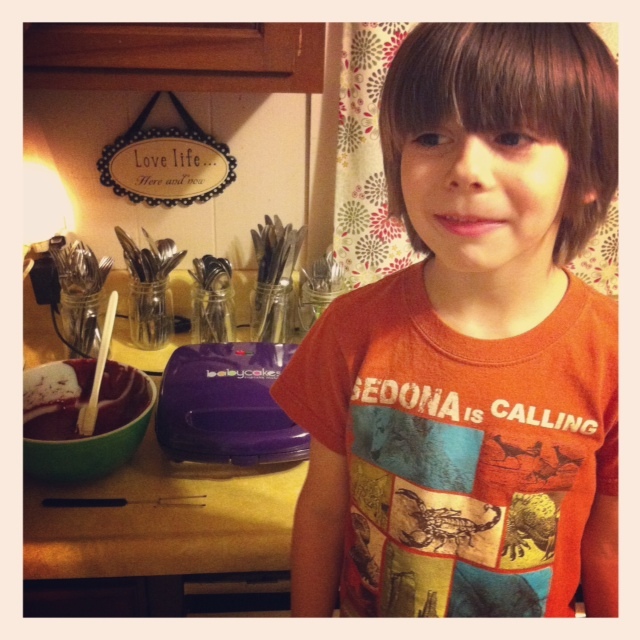 Atticus received the coolest little cupcake maker for Christmas this year and I wanted to share it with you. I had never heard of this thing before. It may not be the newest thing, so you all may think “hello. this is old news!” But it is so cool!! 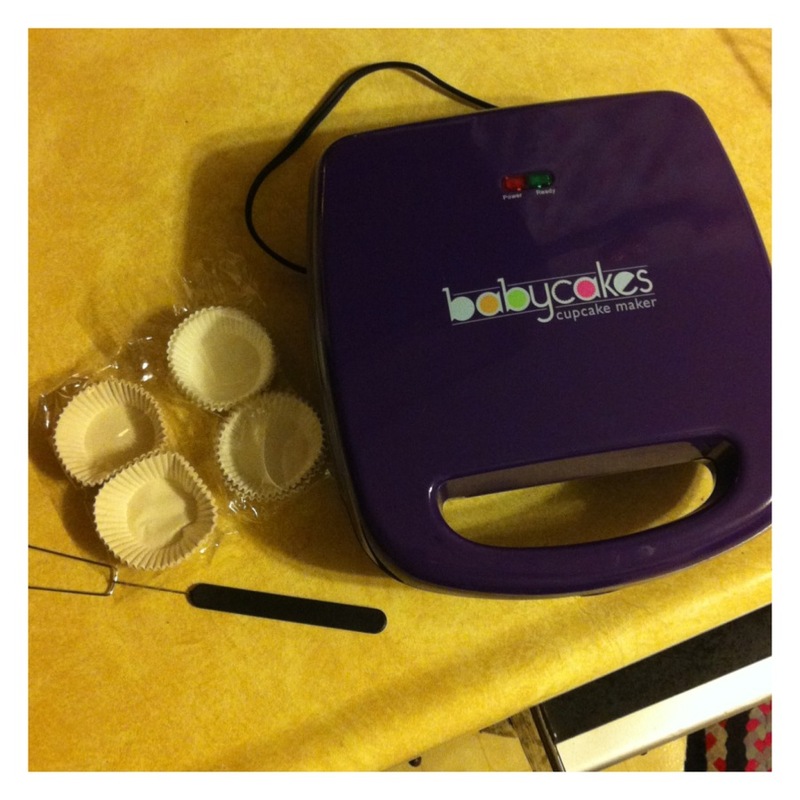 It’s called The Original babycakes nonstick coated cupcake maker. Atticus loves to help in the kitchen and wants to be a chef when he grows up, so he was thrilled to get this super cool present. I will admit…I was a little skeptical. When he opened it I thought “Well this is cool…but will it work.” I like cupcakes just like everyone else does, but a cupcake made in 5 minutes?! I just didn’t know about that. I was excited to try it out and see if this bad boy worked and I’m here to tell you….THIS THING IS AMAZING! I seriously love it!! Atticus and I made cupcakes in literally 5 minutes and I never thought that was possible. This is everything that came in the box. The inside of the cupcake maker is nonstick and so easy to wipe clean. Lets get started! Step One: Plug in the cupcake maker, so it can warm up. Step Two: While the cupcake maker is warming, you mix up your cake batter, brownie mix, or whatever you are going to bake in it. Step Four: Once your batter is in, you just put the top down and set the timer for 5 to 6 minutes. I like 5 minutes, 6 was a little to done and 5 was just perfect for my liking. Step Five: Carefully take out your cupcakes. I used the little fork device that came in the box. They popped out very easy. 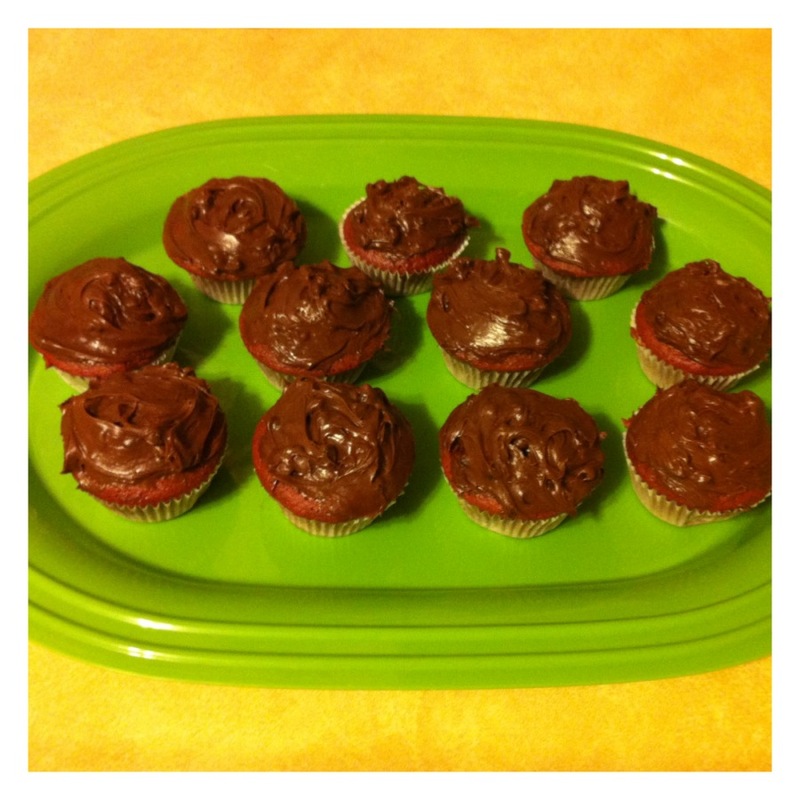 Step Six: Cool, put on your favorite icing, and eat!! It was so simple and I swear the clean up couldn’t get any easier. I’m not sure that I actually cleaned anything beside what I used to make the cake batter and the spoon to fill the cupcake liners. The taste was great…moist…perfectly cooked…and so fast! I can not wait to make these again for a party or get together. It does say on the box it makes mini cupcakes, but I was surprised at how big the mini cupcakes were. They are a perfect size and I wouldn’t really call them mini at all. 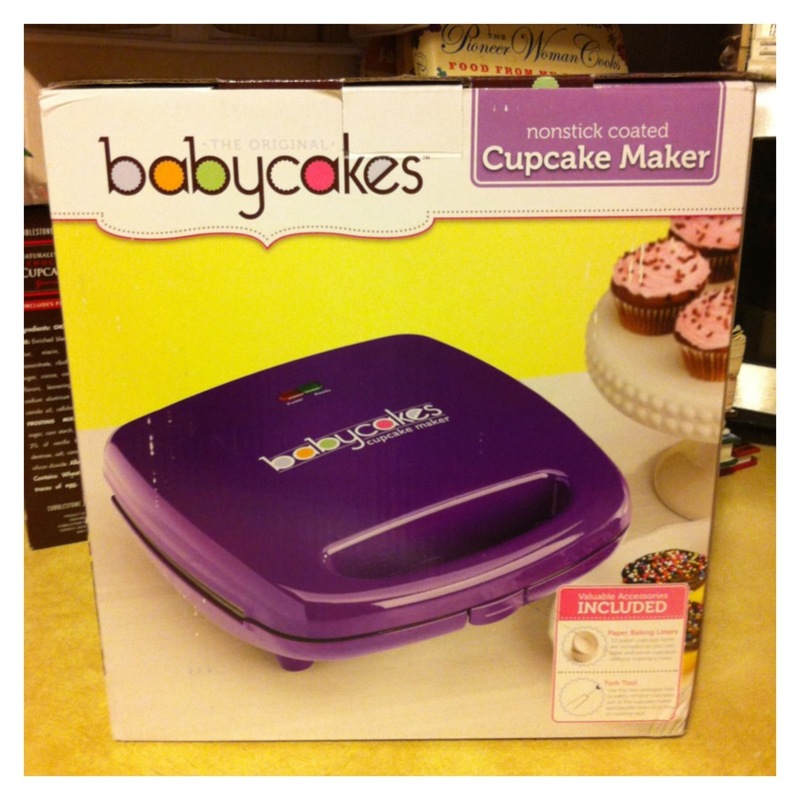 If you’ve seen the babycakes cupcake maker and was skeptical of it, try it out!! It’s worth it! I’m not sure how much they are since it was a gift, but it does work really well and will save you some time. It is perfect for when you want a sweet treat, but don’t want a full mess in the kitchen and you want it fast! I was pleasantly surprised at how well it worked and I see us using this over and over again. I better go…I have some cupcakes to eat!! !